A business incubator to assist entrepreneurs starting up new ventures is gaining momentum in Cobourg over the past week, but it is already facing some negativity. The $1.6 million Venture 13 is moving forward after council gave its blessing. 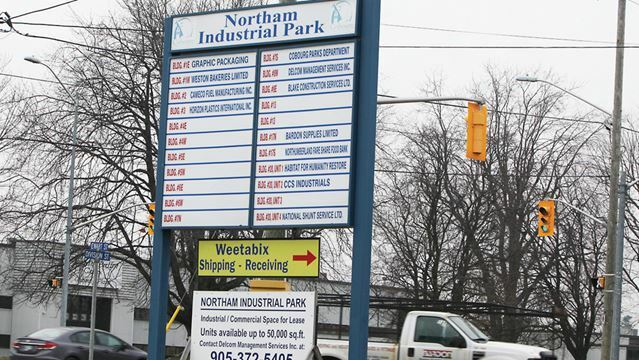 It will be home to some existing public services, as well as provide space for small start-ups in an unused building within the Northam Industrial Park on Darcy Street across from the Cobourg Community Centre. The empty building represents $70,000 in lost revenue, compared to the $90,000 it will generate when the project is running. The Cobourg Police will occupy the second floor, using it to house its business services division, which does background checks for communities across Canada. The main station will stay at the current location on King Street West. It will also be home to the town’s economic retention department, Northumberland Community Futures Development Corporation, the Northumberland Manufacturers Association and Northumberland County offices. There will be a 77-seat lecture hall, seminar rooms and design space for prototype development. The federal government is kicking in $400,000; the province is expected to provide $250,000, the police will pay $650,000 from its reserves and $70,000 is from Lakeshore Utilities, other partners, and private donations. The town is dipping into the Holdco reserves for $250,000 generated by the industrial park. The Cobourg Taxpayers Association was quick to jump on the proposal, saying the timing is not right. It launched a Back to Basics campaign to emphasize numerous grievances it has with the current agenda, demanding these be addressed before moving forward. The group emphasizes it is not opposed to an incubator, but it should not be a priority now. But, the momentum is already gathering. A business case was presented on May 29, the final decision on provincial funding and tendering is expected to take place in September. Construction and move in are all done by December. It is disturbing to learn the proposal was made in March behind closed doors and there is no public consultation. Business incubators are considered a significant tool for generating economic growth. By providing office services, space, and support, the idea is to lower costs for new ventures. Four out of five business start-ups fail in the first four years, according to studies. However, a report published in the American Journal Rural Perspectives, two-thirds of rural entrepreneurs are successful when assisted through incubators. And, 80 percent of those stay in the surrounding area when leaving the incubator. This project will replace Port Hope’s IdeaHub, which closed last year. There are only four business incubators located in Eastern Ontario – Peterborough, Kingston, and Haliburton are the others. Taxpayers Association President Lydia Smith said in a recent interview, the project should be under the auspices of the county. This would seem to make sense. After hearing County Economic Development Officer Dan Borowec in another recent interview said economic development in Northumberland occurs on a regional basis, it would make sense. The county already has its agri-food incubator in Colborne. And, the risk and costs could spread over several municipalities rather than just Cobourg. If nothing else, the town should ask the other municipalities before going forward. There should also be an opportunity for businesses, the public and others to have input. This is a major step in the future of the local economy, and public dollars are being used. It would not hurt to build public support and give even greater momentum to this vital project. Besides, if council comes looking for tax dollars in the future, this will surely help its cause.